Hundreds of Bay Area residents attended a meeting Wednesday night in Mountain View to voice their concerns about noise pollution from airplanes. 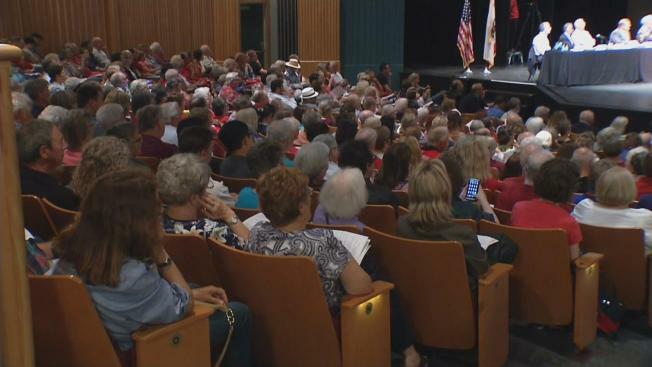 More than 600 people from San Mateo to Santa Cruz turned out for what was their final opportunity to vent to local mayors, supervisors and members of Congress about noisy planes flying low overhead on their way San Francisco International Airport. Many said planes consistently fly over their properties due to the FAA's new flight patterns into SFO as well as new landing technology that allows planes to fly lower to the ground as they approach the airport. "I can take some noise, but it's the one after the other after the other that drives me crazy," said one resident. Another complaint heard Wednesday was that the noise disturbs sleep, the ability to get work done at home and the ability to just enjoy one's home and yard. U.S. Reps. Jackie Speier, Anna Eshoo and Sam Farr were on hand to hear comments and indiicated they would study possible solutions before they brings proposals to the FAA. Some of the residents already have filed lawsuits in the matter while others were hoping lawmakers could instigate changes.